If you share your home with someone else, you know how annoying it can be to try and agree on a temperature. Some people in the household will likely want the home cooler, and others will want it warmer. With standard heating and cooling systems, everyone typically comes to a compromise, but few are actually satisfied. A multi-zone heating and cooling unit can help solve this problem, and it brings quite a few other nice benefits to your home as well, but there is a cost to all of these improvements that every homeowner needs to consider. 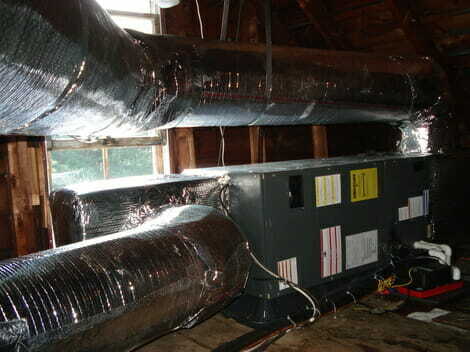 What is Multi-Zone Heating and Cooling? When you have multi-zone heating and cooling installed in your home, you are essentially splitting your house up into multiple zones that are temperature controlled separately. There are multiple furnaces and air conditioners in some homes, or there are electronic baffles that open and close to control the flow from one central air conditioning unit, to give the home the ability to adjust the temperature of different areas of the house independently. Each zone has its own thermostat and can be set to a different temperature.